Rachel Weber was five years old when she first realized her mom was different. 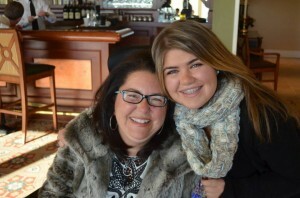 The painful reality was that Rachel’s mom, Carolyn had multiple sclerosis. As painful as that first realization was 13 years ago, Weber now 18 and a senior in high school is taking that pain and turning it into action. For the past three years, she has raised money for the annual Walk MS, this year being held on April 24th at the Devon Horse Show. Devon Medical Products is sponsoring Weber, daughter of Devon International Group’s Chief Financial Officer, Bradley Weber, and her team, who have raised almost $25,000 since their inception.The inception of the team started for Weber in her freshman year of high school, when she saw a commercial for Walk MS. Instantly she knew she had to do something. “Choosing a name for my team was easy; my mom loves the song Sweet Caroline by Neil Diamond. I chose the name “Sweet Carolyn” in honor of her,” Weber wrote recently in a college essay. For Weber, it’s not just about raising money though, it’s about walking towards a cure. “When I was younger and my mom had more mobility, I wasn’t very involved in her health situation,” Weber wrote. For more information on this year’s MS Walk or to donate, please visit the Walk MS website.